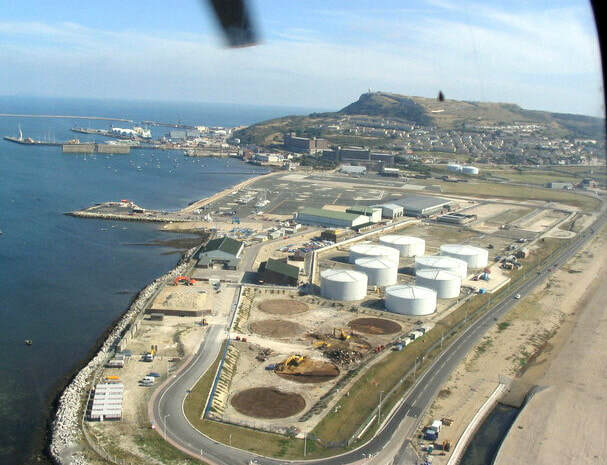 The Mere Oil Fuel Depot, also known as the Mere Tank Farm, was a depot for oil fuel, located on the western side of Portland Harbour at the Mere. Established in the early 20th century, the depot was later acquired by Portland Port Ltd in 1996. 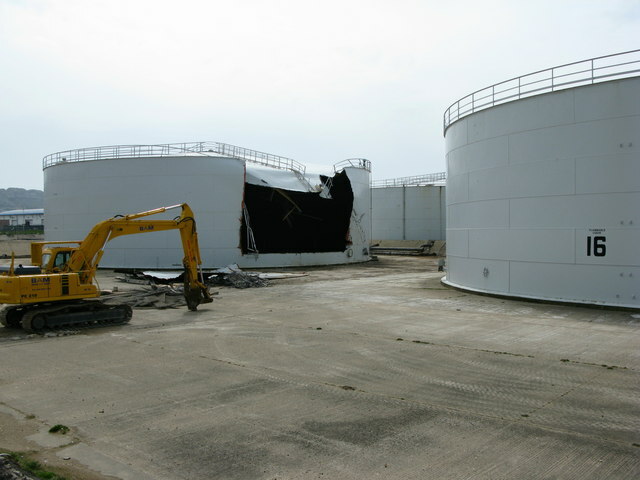 As part of redevelopment work at Osprey Quay, the former site of RNAS Portland (HMS Osprey), the last of the depot's tanks were removed in 2008. From 1898, the Admiralty began carrying out trials with oil fuel to determine its potential value and future use by the fleet of the Royal Navy. The subsequent decision to introduce oil fuel led to the requirement of storage facilities and in 1903, the Admiralty Oil Fuel Committee sought the expertise of the consultant engineer Herbert Barringer on the best methods for storing the substance. His tank design, which had a capacity of 5,000 tons, was adopted and in 1905, the Admiralty selected Portland, Portsmouth, Plymouth and Medway as the primary sites for oil storage. In 1905, the Admiralty contracted the Whessoe Foundry Company Limited of Darlington to construct four trial tanks for erection at Portland, with excavation work for the first two having already commenced at Verne Common during 1904. They would be erected by March 1906 and being the Admiralty's first installation of Barringer's design, the engineer oversaw the work himself. The next two of the four tanks were erected in March-April 1906 by Messrs Playfair and Toole of Southampton, and these were placed on the west side of Castle Road, where preparation of the site had begun in 1905. During this period, work also began in the northernmost region of the natural tidal flat known as the Mere, in preparation for the erection of some tanks there. 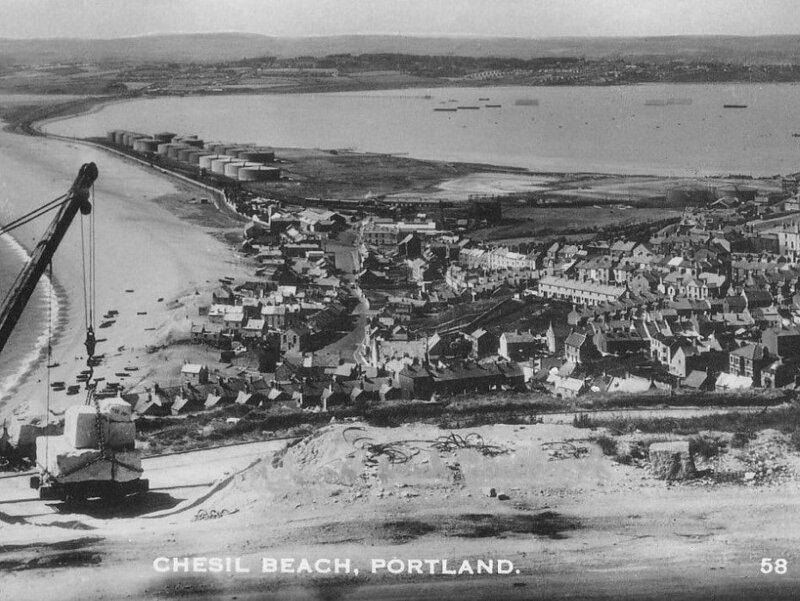 Foundation work commenced in 1907, while an oil jetty was added within Portland's dockyard around the same time. Six tanks would be erected at the Mere, with the first four being completed in 1908 and the last two in 1910. The tanks sparked some local opposition over the destruction of the Mere, while concerns were also raised over the Admiralty using pebbles from Chesil Beach in their foundations. Further reclamation of the Mere was undertaken in anticipation of the next batch of tanks in 1910. The proposed expansion scheme was approved in 1912, and The Sphere reported in October 1913 that four were in the process of erection. The new tanks were completed by the end of the year and the SS Teakwood arrived in January 1914 to deposit oil in the last two, after which they were handed over to the Admiralty. The new work brought the number of tanks at the Mere to ten in total. As oil fuel continued to phase out the use of coal in the fleet, the Admiralty were required to establish new depots and expand existing ones. In 1919, the Admiralty announced their intention to expand the Mere depot over the next five years. The original £956,000 proposal was to provide an additional forty-two tanks, however this number was significantly reduced soon afterwards. 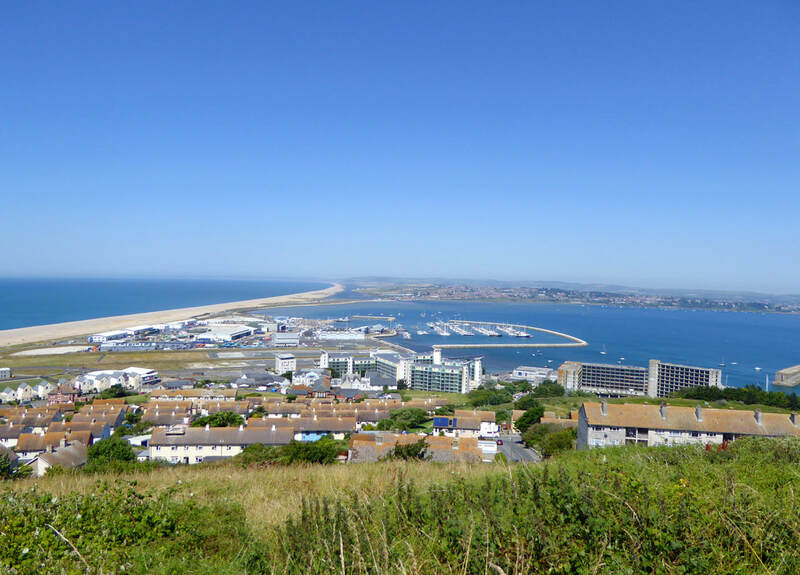 New reclamation work commenced in 1920, which included the creation of a temporary pier for the installation of dredging equipment, allowing sand to be removed from Portland Harbour and deposited in the Mere. The Hampshire Telegraph reported in January 1921: "Considerable progress is being made with the work of filling in the Mere at Portland. For several months past a large "sand sucker" has been at work sucking sand from Portland Harbour, water driving the sand through pipes into the Mere. As a result the whole character of the Mere has been changed. The tidal inlet has been stopped up and a system of pipes introduced, by which the flow of the tide can be controlled." 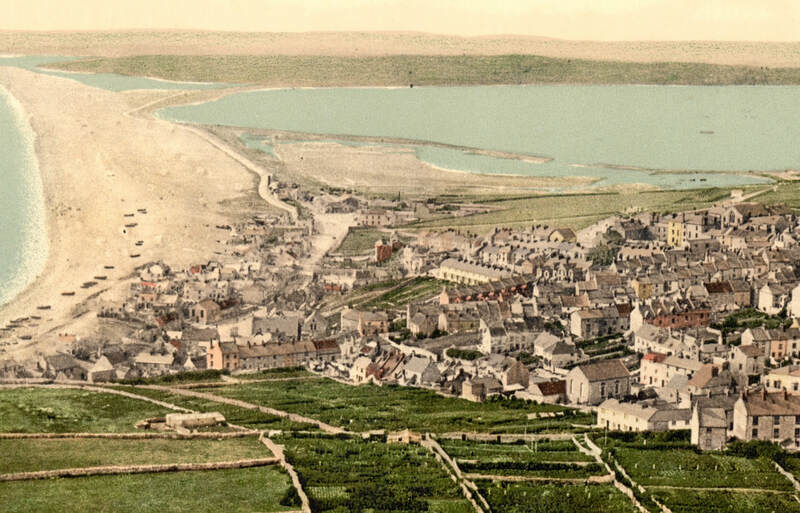 In May 1921, Weymouth Town Council came to a £7,000 agreement for the Admiralty to dredge Weymouth Harbour and the sand sourced from there was also used at the Mere. The Western Gazette reported in June that "rapid progress [was] being made with the dredging." The Mere was prepared for a further twelve tanks, which were erected from 1921 for a total of £132,000, with each able to accommodate around 9,000 tons of oil. Work was completed around 1924, making Portland home to one of the Admiralty's largest oil fuel depots, with twenty-six tanks and a capacity of over 176,000 tons. Like other naval oil depots, the vulnerability of the Mere's tanks to enemy attack was the cause of considerable and lengthy concern to the Admiralty. 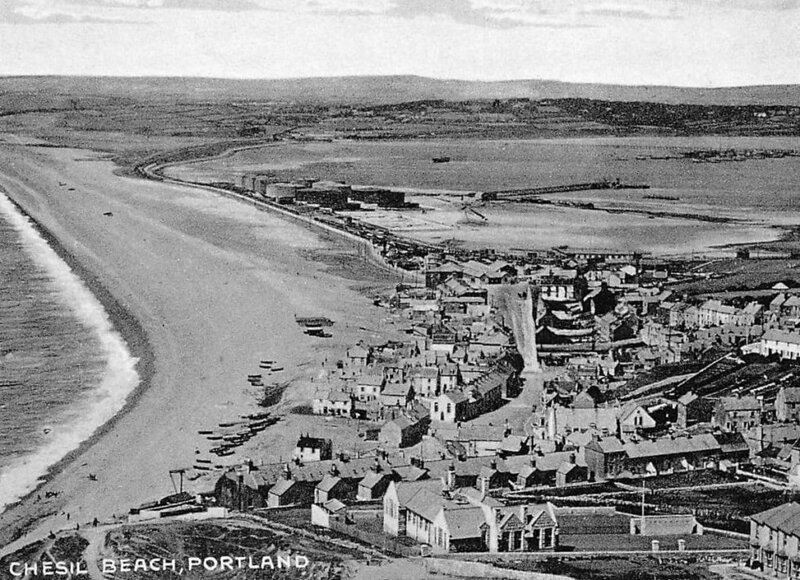 Plans for an underground storage scheme for Portland had been drawn up in the early 1910s, which proposed using the Verne Citadel's ditch and a nearby quarry for the storage of 477,000 tons of oil in concrete compartments or tanks. However, the practicality and expense of the scheme ultimately led to its abandonment. During World War II, the depot quickly became a primary target for the Luftwaffe. In 1939-40, the depot's pumping station, along with one at Castle Road and another in the dockyard, were all rebuilt in brick with reinforced concrete roofs, thereby providing greater protection of the machinery from aerial attack, while concrete bund walls were formed around the depot to contain the oil in the event of a spillage. Work also commenced on a 75,000 ton fuel storage facility underneath the hillside to the south of the dockyard. Meanwhile, the various light and heavy anti-aircraft batteries and positions established around Weymouth and Portland provided protection of the naval base and its facilities, as did other defensive measures such as decoy sites. Although the tanks faced considerable threat during the war, no major damage from aerial bombardment occurred. The worst incident was seen in an air raid of August 1940, when two tanks were pierced and the depot's pipeline fractured in three places, resulting in the loss of up to 200 tons of oil. One of the damaged tanks caught fire, however it was able to be extinguished. Later that October, a lone aircraft successfully dropped a bomb between the tanks, but it failed to explode. Over the following decades, the depot continued to fuel ships of the Royal Navy. Meanwhile, in the mid-1950s, the Admiralty established the air station, RNAS Portland (HMS Osprey), at Portland in 1958-59, resulting in more of the Mere being filled in. The major expansion of the station in the 1960s-70s saw the last remainders of the Mere reclaimed. 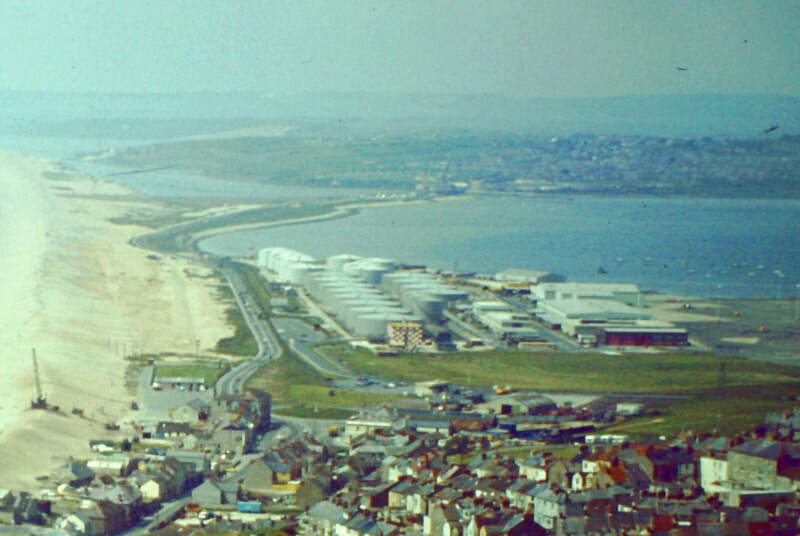 The early 1970s also saw the erection of three aviation fuel tanks alongside those at the Mere depot, while Portland's original two tanks on the Common were demolished in the mid-1980s to provide a concrete sports ground in connection with the two new Royal Navy accommodation blocks being built, known as the Hardy Site. Further demolition work was carried out in the early 1990s, when seven of the tanks erected in the 1920s at the Mere were removed. HM Naval Base Portland closed in 1996 and the harbour and former naval base was then sold to Portland Port Ltd (PPL) for transformation into a commercial port. Having acquired the surviving northern section of the depot, along with the two tanks at Castle Road, PPL received permission in late 1997 to use them to store a limited amount of ammonium nitrate mixtures, solutions and fertilizer products. 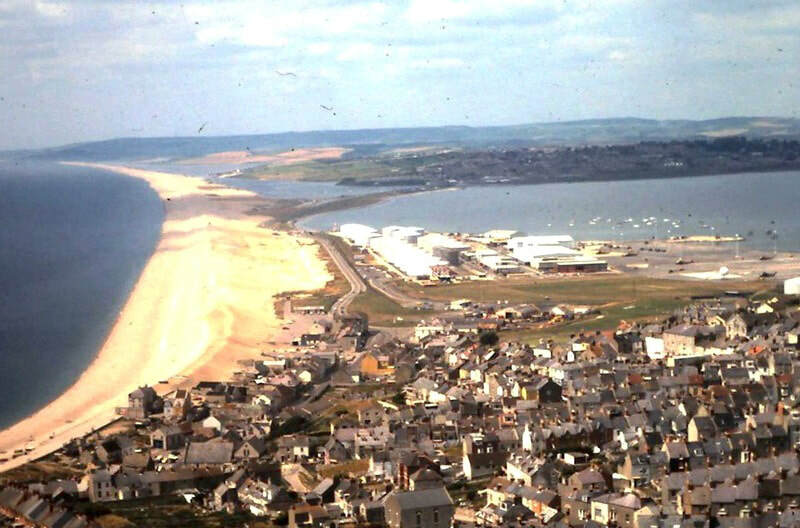 With the closure of RNAS Portland in 1999, the Ministry of Defence sold the air station to the South West Regional Development Agency (SWRDA), who began planning for its redevelopment as Osprey Quay. 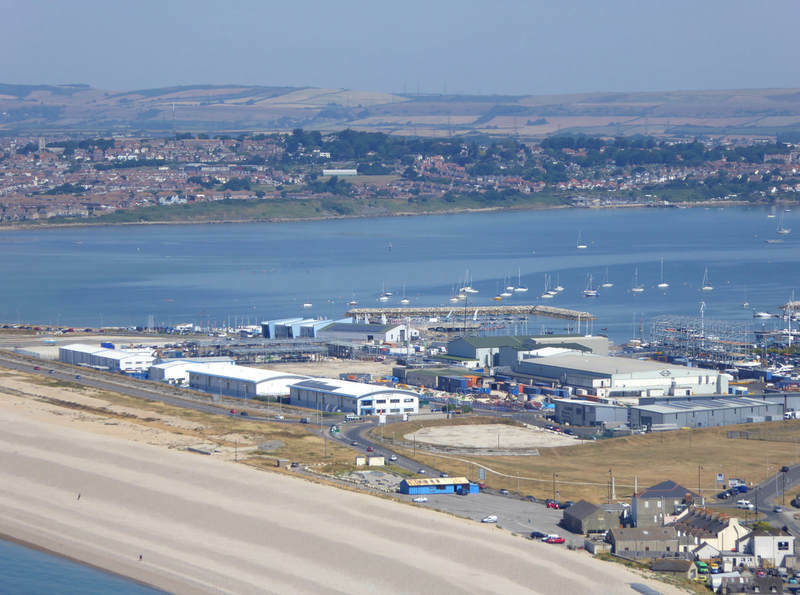 One of the earliest post-military establishments was the Weymouth and Portland National Sailing Academy, which commenced operations from disused MOD buildings in the northern region of the site in 2000. In addition to the academy's proposed redevelopment, the SWRDA revealed their plans for the remainder of Osprey Quay in 2001, with the site to be used for a mixture of industrial, leisure, retail and residential purposes. The southern part of the former depot was earmarked for three industrial units. Meanwhile, in late 1999, PPL applied for planning permission to store an increased amount of kerosene and aviation fuel at the depot, amounting to 50,000 tons. 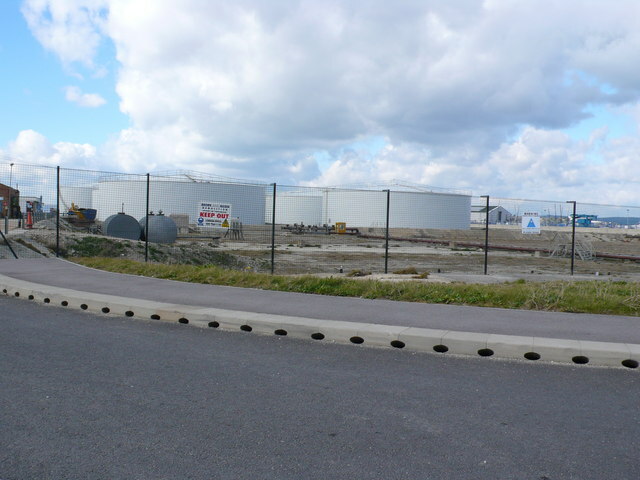 However, this was refused by Weymouth and Portland Borough Council in early 2001 over concerns that it would affect the redevelopment of the adjacent sailing academy, while the government agency, the Health and Safety Executive also considered the storing of flammable liquids so close to the academy to be a threat to public safety. The refusal sparked major disagreements between the port, and the borough council, SWRDA and sailing academy. 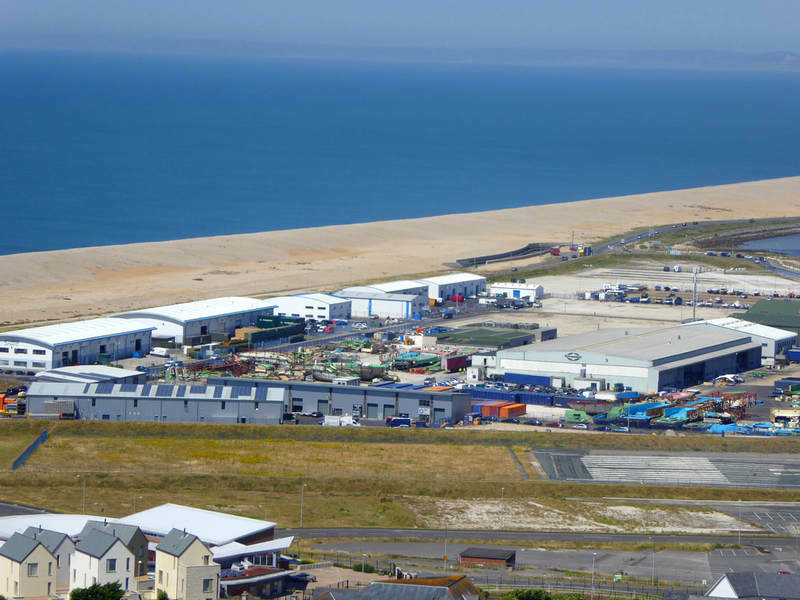 Considering the latter's existing location to be a "very real threat to the immediate and long term success of the port", PPL revealed to the Dorset Echo the possibility of seeking legal advice for compensation due to their inability to make full use of the depot. A second application for storing fuel was rejected in mid-2001 in favour of renewing the sailing academy's temporary permission to remain at Osprey Quay, with the council believing it would be more beneficial to the local economy. In response, PPL appealed against the decision, prompting a public inquiry, and also applied for a judicial review. However, with both appeals dismissed in 2002 and plans for the academy's redevelopment approved, PPL began extensive talks with various authorities regarding the development of new plans for the depot, with a focus on providing additional safety features. Meanwhile, in 2002-03, the southern region of the depot began redevelopment with levelling work and the creation of an access road, Mereside. In April 2003, it was announced that the SWRDA were to purchase the six northernmost tanks from PPL and these were subsequently demolished in July-November that year. As plans for the erection of industrial units, offices and a restaurant did not come to fruition, the site went on to become a temporary boat storage/maintenance area and car park for the sailing academy from 2007. Meanwhile, the port announced their intention to submit new plans for the depot, which included expanding the storage capacity of kerosene from one to three tanks. Two planning applications were submitted in late 2003 - one for the storage of hazardous substances and the other for associated works, including the construction of internal walls, a bund wall on the western perimeter, and a reinforced concrete wall with fencing to the north. The scheme was approved in mid-2004, allowing the port to hold 75,000 tons of kerosene and diesel fuel. With increased use of the depot being made, the port was able to receive tankers on a daily basis for the collection of the stored substances for distribution across the region or use as ship fuel. Meanwhile, in 2005, plans were approved for the erection of two industrial buildings in the former southern region of the depot. Constructed in 2006 by Rokeagle Ltd/Rok Development on behalf of the SWRDA, the two buildings were the first to form the new Navigator Park. 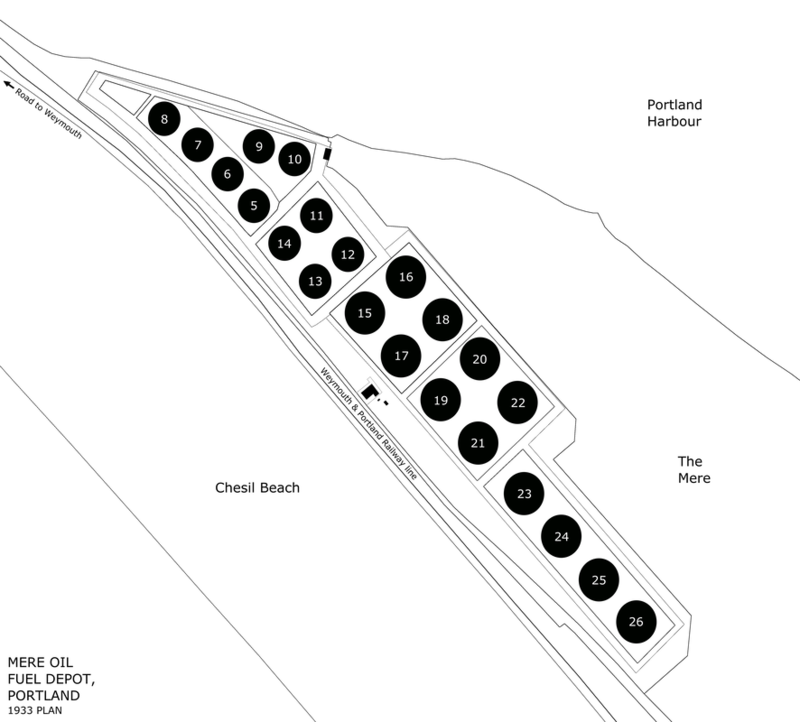 In early 2006, the SWRDA and W&PBC revealed their plans to buy the remaining eight tanks from PPL and redevelop the land for marine-based industrial and employment use. The purchase also included the two "Marpol" tanks at Castle Road, which had been operated by the port for the disposal of waste oil and other substances from vessels. These two tanks were the first to be acquired by the council in March, while the agreement for those on the Mere was finalised in August 2006. By this time, the two tanks at Castle Road were decommissioned and cleaned, and their demolition carried out by Wring Group in March 2007. 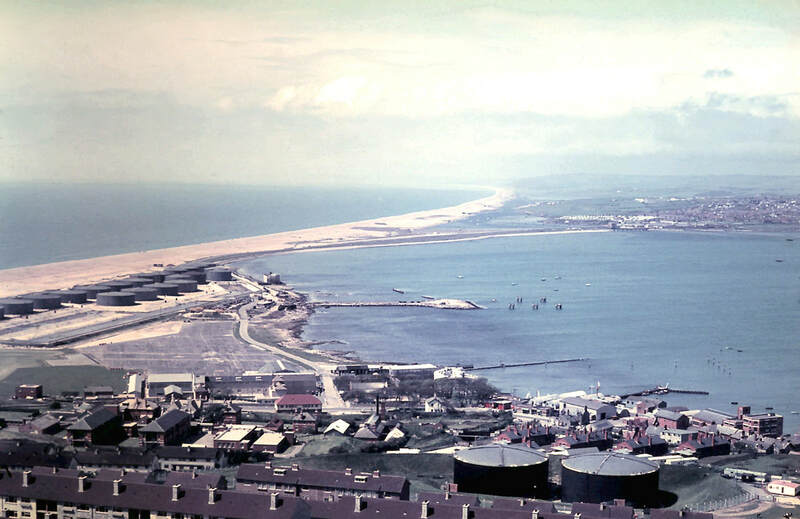 The sale of the tanks allowed PPL to invest in other projects and developments, including the creation of new berths, while they were also able to continue offering a bunkering service through Portland Bunkers International Ltd, who began operating in 2005, using the World War II underground fuel storage facility and a berth on the inner breakwater arm. PPL ceased use of the depot in December 2007, allowing Brown and Mason Ltd to begin demolition work in March 2008. The cost of demolition was covered by the salvaging of steel from the tanks for recycling, and the final tank was pulled down in May. The next stage of redevelopment was approved in early 2009, with BAM Nuttall Limited hired as the main contractor. Remediation and treatment works started in May by EDS Remediation, which included the removal of the tank's foundations. BAM Nuttall then carried out infrastructure and service works at the site, including the extension of Mereside road and the installation of drainage, telecom, gas and electricity works. The work was completed in 2010, which also included a new car and boat park for the sailing academy. In 2011, much of the former depot site saw the erection of various structures, including cabins, tents and storage containers, to form a temporary operational compound for use during the 2012 Olympics and its 2011 test event. During 2011-12, the former site of the two tanks at Castle Road was developed with the construction of a new school, which opened in 2013 as the Osprey Quay Campus of the Isle of Portland Aldridge Community Academy. Following the Olympic games, the Homes and Communities Agency obtained permission in 2013 for the erection of six industrial units on the former depot site. Tidebank UK Ltd erected one unit that year, followed by another two units in 2014, along with a single building forming another four units. Meanwhile, the sailing academy continues to use part of the northern region of the site as a temporary overflow car and boat park, pending the construction of new, permanent parking facilities in the future. A selection of photographs showing Brown and Mason Ltd's demolition work of the last remaining tanks in 2008 can be seen here. 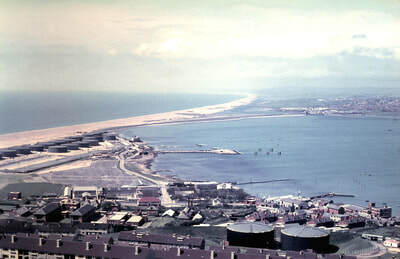 A c. 1930s "Excel Series" postcard showing the Mere Oil Fuel Depot, alongside the remaining part of the Mere, later progressively filled in to form RNAS Portland. The two Castle Road tanks can also be seen on the far right. This 1962 photograph shows part of the Mere Depot on the left, along with Portland's original two tanks on the Common, bottom right. (© Gordon Spicer, licensed for reuse under CC BY-SA 2.0: geograph.org.uk/photo/2224548). The Mere Depot and RNAS Portland seen here in 1981. (© Clint Mann, licensed for reuse under CC BY-SA 2.0: geograph.org.uk/photo/3933718). The Mere Depot and part of RNAS Portland seen in 1983. (© Colin Smith, licensed for reuse under CC BY-SA 2.0: geograph.org.uk/photo/2925994). A modern view across the former depot site. The row of industrial buildings running alongside Portland Beach Road now occupy some of the site. A general view across Osprey Quay. Looking across the former depot from West Cliff. A basic plan of the depot site, based on a 1933 map. The building between No 17 tank and the railway line was a pumping station.